Make your arrangements before your arrival for your VIP tour on Crete and let us handle all the details. We can arrange chauffeur with luxurious limousines to drive you around with the style that you deserve. Have a personal travel guide 24/7 to show you the hidden beauties of Crete. The main concept of our site focuses on personalized tour services. 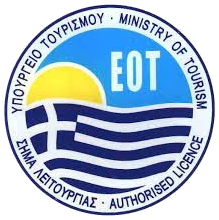 Over the past years working for many Tour operators and Travel agencies on the island of Crete and all around Greece, we realized that the majority of the programs full day or half day tours remain the same. Very little has changed. Guests in the past years expressed the opinion, that often the options/tours they were offered when they were visiting Crete, were limited. Exactly this is what we decided to change! With our private tour guide services we provide to all guests the opportunity to combine different tours and to actually plan their day. Combine the sites you wish to visit in a tailor-made tour just for you and your friends or family. The concept is very simple. Choose the places / sites you would like to visit and we will try to fulfill your wishes. We will act as insiders and try to combine the desired sites for the ideal tour. All the excursions and programs that you can find in our site, can be organized as, private tours or VIP tours, for individuals, for small families, a group of friends. You can decide the budget, we can offer options according to your needs and expectations. Let us introduce you the real, genuine Crete, with its proud inhabitants, the amazing wine and traditional cuisine. Cretan Tour Experts is a travel agency based in Heraklion Crete, organized by professional licensed guides, but cooperating with a small dedicated group of professionals that can really elevate the travel experience, providing exquisite, top – quality travel services and planning. Join us and become a traveler, get to know the locals, let us show you the hidden gems of Crete and Greece. Our country, our birthplace, as we see it. Feel the warmth of the Cretan hospitality, realize what it means to deal with a registered travel agency that is organized by passionate people “actively working on the field” – not behind a desk. We will personally listen to your wishes and needs and provide options for your tours and solutions, so that on the day of issue, you will be relaxed and ready to enjoy the experience. Our friendly approach can guarantee an immediate response to your needs and requests, so that you will enjoy the feeling of safety.